When calculating an offer in compromise amount, one of the biggest issues is a taxpayer’s equity in assets. If a taxpayer owns a home the equity in the home will need to be accounted for calculating the offer amount. This brings about the pivotal question, how is real property or a home valued for the purposes of an offer in compromise with the IRS? Unlike a bank account, stocks, bonds or other account with an easily ascertained fair market value, the value of land and/or a home is more subjective and at issue. That being said, recently our position has to been to value the home at the most recently assessed tax assessment from the county. Generally speaking, the Internal Revenue Service has agreed with this valuation. If a taxpayer thinks the value of their home is less than the tax assessed value, you will want a formal appraisal conducted and you will need to show why the value is less than the tax assessed value. If you have any questions related to a tax settlement or offer in compromise, please contact The McGuire Law Firm to speak with a tax attorney. 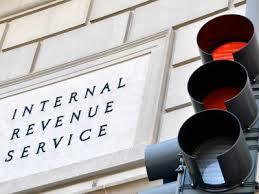 We offer a free consultation with a tax attorney to all potential clients.